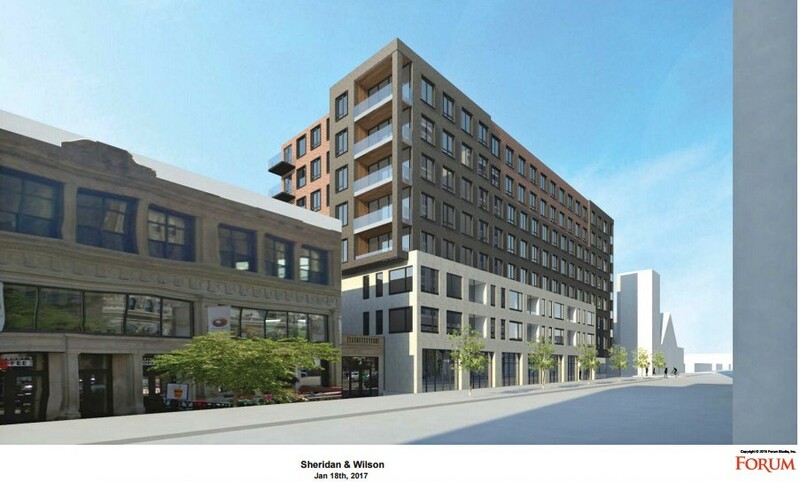 There are new renderings of the proposed building at 975 W Wilson (the former El Pollo Loco site) on the 46th Ward website. They show the floor plans, the comparison of the proposed project with nearby buildings, and include some pretty cool overhead shots of Uptown. Check them out here, here, and here. The project will be discussed at the next Zoning & Development meeting on February 27th. Please build it--and the other two big projects slated for Wilson (at Broadway and next door to the old theater)--ASAP. That said, I do have to wonder what sort of business(es) might be attracted to this intersection. Please no Subway, convenience store, dry cleaners (already one in the strip mall at Lawrence), anything selling booze in half-pints or pints, fortified wine (Wild Irish, Night Train, Mad Dog, et al. ), 40-ounce beer, etc. That is one of the most profitable and busy McDonalds on the North Side. It's not going anywhere unless someone is willing to pay a fortune for the land. Looks great. As an Eastwood address-owner, I too have my fingers crossed. Good luck guys! It would be so nice to have a good building on that corner, more good people in our part of our neighborhood. The McDonalds should not be removed even though I don't eat McDonalds but there should be no loitering laws enforced around all businesses where if you are not there contributing to the business then you should move along or get arrested if you're just there causing trouble or engaging in narcotic behavior. 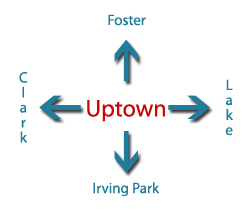 "Kate Uptown" tells us it's one of the most profitable and busy McD's around. I don't know where she gets her information, but if it's true seems to me the franchisee or McD corporate can afford armed security guards or off-duty CPD officers to maintain some semblance of order and enforce no loitering on this private property. So we should arrest people for hanging out on a public sidewalk just because they happen to be in the vicinity of a business? I am soooo sick and tired of "transit oriented development" being an excuse for super high density development with little or no parking. 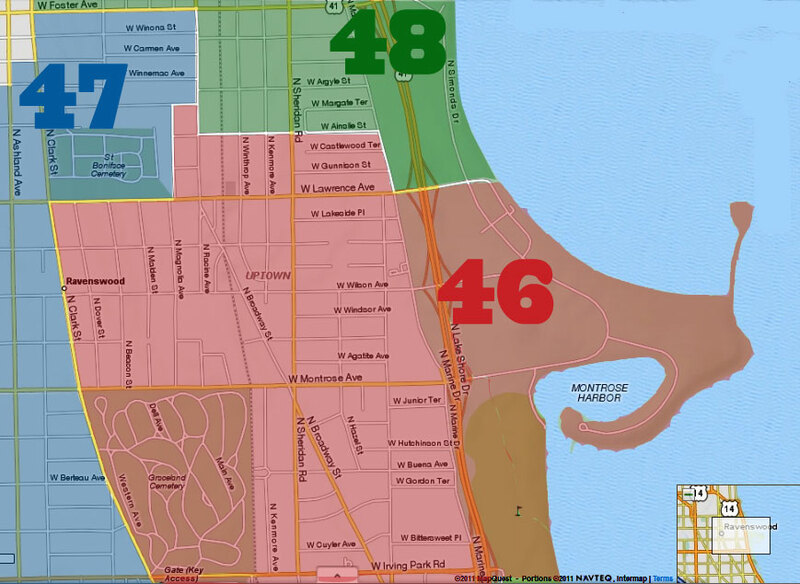 This is already one of the densest precincts in the entire city. So, why make it even denser? This lakefront area is turning into another Streeterville. All bad design and cement with virtually no open space.